Compact and lightweight with a sturdy handle perfect for portability even for small hands. Powerful and easy to use but economical to operate, using just 65 watts of power. 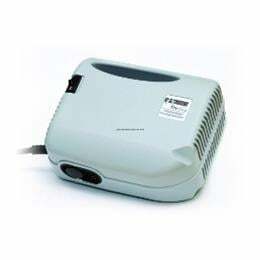 Includes a disposable nebulizer with mouthpiece, "T", 6" reservoir and 7 foot tubing. 5 year warranty.